Since I can’t haven’t made room for new pictures, I have decided to catch up on some posts from this summer. Besides driving about 5000 miles (and we didn’t even leave Texas or New Mexico), visiting friends & family, and eating lots of yummy food this summer, I threw a few parties. 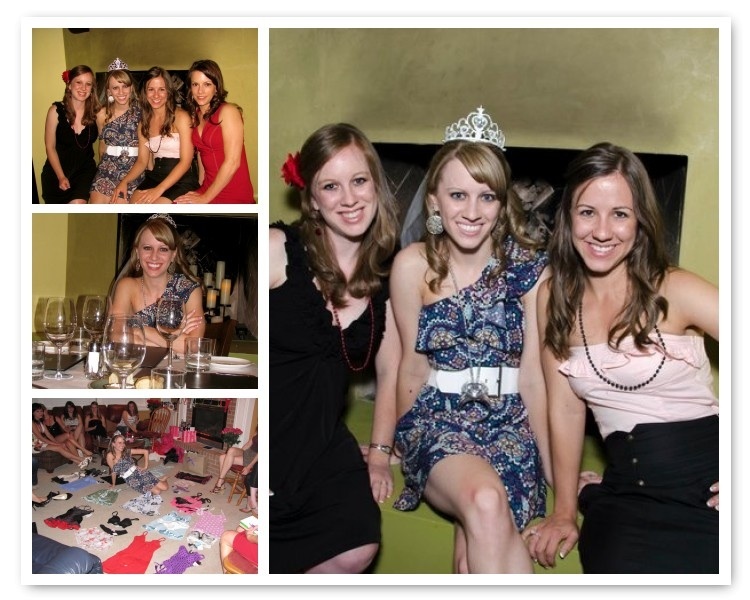 The first one was a bachelorette party for Aubrey! Brooke & I had a great time planning & baking for this party. In a large saucepan, combine sugar, water & gelatin. Boil for 3 minutes. Stir in pineapple juice, lemon juice, & orange juice. Divide mixture in half, and freeze in 2 separate containers. When ready to serve, place the frozen contents of one container in a punch bowl & stir in 1 bottle of lime-lime soda until slushy. This entry was posted in Family, Food and tagged Parites. Bookmark the permalink.